"Employment in the Cultural Sector" is one report in a series produced by the New Zealand Ministry for Culture and Heritage, as part of the Cultural Statistics Programme. The aim of the programme is to improve the range and quality of statistical information about the cultural sector - for the development of cultural policy by both central and local government, for monitoring the sector’s progress and performance, and for future planning. Academic librarians want their Web sites to attract faculty and students the way flowers invite insects for a visit. The urge to plunge into the cornucopia of electronic riches that lies waiting in the library’s highly organized portal should be irresistible. Exclusive research databases, costly electronic journals and digital books and treasures lay in wait for those who need and are willing to seek them out.It should be a scholar’s dream, but there’s trouble in paradise. In August 2008 the Ithaka Group released a report, "Studies of Key Stakeholders in the Digital Transformation in Higher Education" on the relationship between faculty members and their libraries’ electronic resources. As librarians already knew well, Ithaka’s report showed that faculty perceived the library’s collective electronic resources, particularly in business, science and technology, as far more critical to scholarship than print collections are. But there is a significant disconnect when it comes to faculty use of the library’s website as a gateway, or portal, to access that wealth of electronic content. This white paper lays out an expanded vision for “public media 2.0” that places engaged publics at its core, showcasing innovative experiments from its “first two minutes,” and revealing related trends, stakeholders, and policies. Public media 2.0 may look and function differently, but it will share the same goals as the projects that preceded it: educating, informing, and mobilizing its users. The idea that the internet can be a transformative space for democracy, especially in OECD countries, is a common place. Also of huge interest is the drive to make PSI [pubic sector information] assets available online. It's also often said that an informed e-literate citizenship is a core requirement for all this to take place. Less common is an emphasis on the digital literacy, or e-capability, of our representatives. In short, how digitally literate are our MP's? A recent report from the UK Hansard Society provide some welcome insights. MPs Online: Connecting with Constituents, reveals that MPs are using the internet primarily to inform their constituents rather than engage with them. The most widely used digital media are those which are mainly passive in nature, such as websites. Interactive forms of media which could be used by MPs to develop a two-way dialogue with their constituents, such as blogs and social networking, are used less commonly. Where these tools are used, it is often in passive 'send' mode with few MPs exploiting their full interactive potential. Click here to read UK media coverage of the report. The Hansard Society is one of the UK's leading independent, non-partisan political research and education charities. 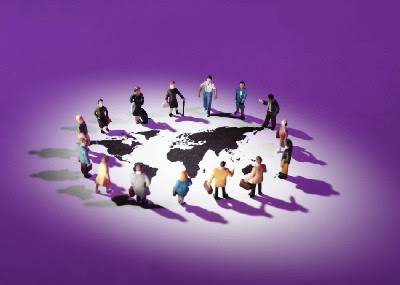 The study is written by Hansard Society's Director of eDemocracy Programme, Andy Williamson. 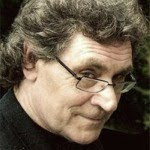 He is a former member of the DSAG [New Zealand Digital Strategy Advisory Group], and, when based in New Zealand, was a well known advocate of the benefits, boundaries and opportunities of using digital as a community development platform. But has any of this changed of late - say through the rise of Twitter? TweetMinster, again from the UK is an interesting experiment in mapping the tweeting world of the UK parliament at Westminster. Might be interesting to see a NZ, or Australian equivalent. I note they acknowledge My Society's They Work For You as one of their inspiration points. NZ does have its own version of this excellent initiative. Sec 92a - sent to the sin bin - result!!!! It has just been reported that the New Zealand Cabinet met today and discussed the Copyright (New Technologies) Amendment Act and the implementation of S.92A, which was due to come into force on 28th February. Nat Torkington was at the press briefing and has reported via Twitter that the NZ government has delayed the implementation of S.92A until 29th March. Press releases are on the way. If both parties to the TCF voluntary code of practice for ISP's do not reach agreement by that date the government has indicated its willingness to suspend that section. This is a brilliant piece of news - and a total victory for common sense - now its down to all the parties to sort something out so that it is fair for all parties. In the meantime - everyone who got involved in the campaign gets to taste the sweet taste of a political result. On that note - the NZ National government needs its own acknowledgment - from memory, this is the first time since they took power that they have faced a major lobby. It would have been all too easy for them to pull in their horns and ride it out, especially as most of the lobby was coming from web activists. They didn't - it took them a moment to realise the sophistication of the lobby voice - but when they did, they listened - and then they acted. I think that deserves its own round of applause. Last but not least - you have to give it up to the Creative Freedom Foundation - they played a blinder. As Russell Brown says in his Hard News blog on Public Address, the blackout campaign on Section 92a of the Copyright Amendment Act needs to move to another stage. The campaign has been a great sucess, and it is to be hoped that there is still time for common sense to prevail and for Sec 92a to be sent into the corner to await a more balanced judgment from NZ Ministers Power , Finlayson, Joyce, and Worth. It is also to be acknowledged that the NZ rights holder organizations have come a long way in the last week, and there now seems to be a real willingness to make the TCF Code of Practice work. However, that will need more time - hence the need for the delay on the implementation of Sec 92a. For myself - although I am leaving the topic of Sec 92a aside for the moment, I still want to spend time and energy on exploring and talking about the need for a much greater understanding and commitment to the concept of 'Fair Use" - i.e the ability to use portions of a persons work for discussion - cross fertilisation - research - or, for that matter - parody. More on this later - in the meantime - if you are interested - check out Wikipedia as a pre- starter to a further debate. Fair Use as an economic value. While you are there - and in pursuit of the beginnings of a rational discussions which goes beyond the stereotype of theft and misuse - have a close look at the context for this quote on fair use as an economic driver - which in recognition of the right to fair use, I quote here. A balanced copyright law provides an economic benefit to many high tech businesses such as search engines and software developers and Fair Use is also crucial to non-technology industries such as insurance, legal services, and newspaper publishers. On September 12, 2007, the Computer and Communications Industry Association (CCIA), a group representing companies including Google Inc., Microsoft Inc., Oracle Corporation, Sun Microsystems, Yahoo and other high tech companies, released a study that found that Fair Use exceptions to US copyright laws were responsible for more than $4,500 Billion dollars in annual revenue for the United States economy representing one-sixth of the total U.S. GDP. The study was conducted using a methodology developed by the World Intellectual Property Organization. “As the United States economy becomes increasingly knowledge-based, the concept of fair use can no longer be discussed and legislated in the abstract. It is the very foundation of the digital age and a cornerstone of our economy,” said Ed Black, President and CEO of CCIA. “Much of the unprecedented economic growth of the past ten years can actually be credited to the doctrine of fair use, as the Internet itself depends on the ability to use content in a limited and nonlicensed manner." 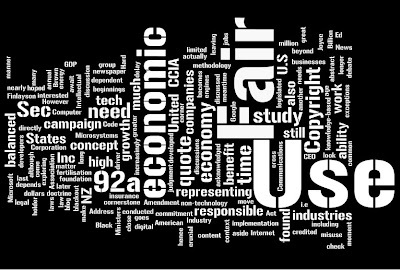 The study found that fair use dependent industries are directly responsible for more than 18% of U.S. economic growth and nearly 11 million American jobs. ISP's are not courts - what is hard about this? Brilliant cartoon in this morning's New Zealand Herald from Rod Emmerson - his Herald archive is here. I was also invited onto The Panel on Afternoon, Jim Mora's show on National Radio. Go here to page -it's the first section of the panel. Or if you just want to listen, then click here for mp3 I start talking about 5 mins in. I stuffed up the chance to explore the fair use issue - but I did manage to get over that because the definition of ISP is so loose, NZ small business owners, schools and libraries will get caught by Section 92a. The John Key interview when he says the has only just read the Act, and Section 92a, and the drafting looks a bit ropey is here. Just found this link to a seminar from December last year from the Berkman Center where some of the top thinkers on copyright in a digital age came together to celebrate the sixth anniversary of Creative Commons, and discuss some of the great achievements in technology for sharing culture. Moderator: * Jonathan Zittrain, of the Berkman Center for Internet & Society, and author of The Future of the Internet -- and How to Stop It. This event was sponsored by Creative Commons and the Berkman Center for Internet and Society. It is long - over an hour - but hey, you can dip in and out. It is so worth it! One of the surprises of the NZ Copyright Amendment Act Sec 92a campaign has been the effectiveness of simple tools and ideas around the growing social networking ecology. and inside that, the big learning is how Twitter can be leveraged as a campaign collaboration tool. For example the Section 92a campaign Go Black - i.e. black out your Twitter or Face Book profile picture not only proved a brilliant viral message, the idea, and so the message, got picked up by mainstream media in the likes of the UK Guardian , and of course, the endorsement of Stephen Fry just gave it the twist it needed to get it onto mainstream television. See here for this and also latest updates on campaign. So what is the Twitter thing? If you want a brief introduction, then say thanks to Lynda Kelly of the excellent Ning network, Museum30, for this link to a YouTube video from Common Craft. The video is relentlessly US accented, but it covers the basics beautifully. If you are looking for some institutional peers to follow from the GLAM sector, then you might like to look at these who I follow. My apologies for the previous post, which I have taken down cos it was wrong. In my defence I posted in good faith - seems like there was a bit of a mix up. This is still the same - i.e. the The Creative Freedom Foundation has teamed up with Mike Corb and Luke Rowell / Disasteradio to produce the Guilt Upon Accusation anthem: The Copywrong Song. The song is part of a week of action, launched by the Foundation, against Guilt Upon Accusation laws in NZ. The campaign, taking place from 16-23 February, is a reaction to Section 92A of the Copyright Amendment Act due to come into effect in NZ on February 28. This is so on the button - thanks! Sec 92a of the Copyright Amendement Act reverses New Zealander's fundamental right to being presumed innocent until proven guilty, by punishing internet users with disconnection based accusations of copyright infringement without a trial and without evidence held up to court scrutiny. The blackout is part of a week of action against S92. A S92 song remix challenge will be announced soon , and various other initiatives including video commercials and radio broadcasts will follow. The week will culminate in a web blackout on Monday the 23rd seeing blogs and websites “dimming the lights” as a means of drawing attention to the issue that could leave New Zealander's in the dark when they face having their internet cut off. Creative Freedom Foundation Director Bronwyn Holloway-Smith says “If the government choses to keep this law, they will be going against international trends, treating NZ as an international lab-rat for this kind of legislation”. Similar legislation has recently been proposed and rejected in other countries: Germany said Section 92A-like laws were ‘unfit for Germany, unfit for Europe’. The UK rejected them due to “impracticalities and complexities” and the EU rejected them saying they were against “a fair balance between various fundamental rights”. Over 5600 people, including over 2700 artists, have signed the Creative Freedom Foundation's petition against Guilt Upon Accusation laws in NZ. I just had coffee in Sheinkin this morning, met one of the guys from Idealog in passing, who said, " see you after the break" - what break, thought I, and then I remembered - it's Waitangi Day tomorrow. 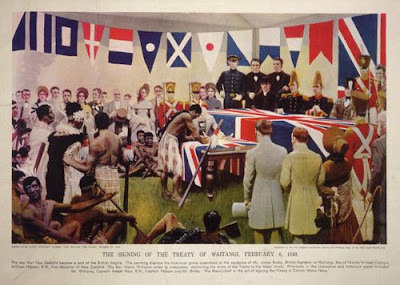 This is the day New Zealanders acknowledge, mark, and in lots and lots of way, celebrate the signing of their partnership document the Treaty of Waitangi on the 6th February 1840. I can remember my first Waitangi Day almost 20 years ago. It was about 8 weeks after I arrived, and there it was for the first time - a day put aside to remember one of the biggest days in how things happened here. This history can be contentious, and it is not something that New Zealanders are always comfortable with, especially when it re- surfaces some of the issues and incidents from the early days of New Zealand pakeha settlement. Again, NZ History and Te Ara offer good context around this, although, especially in Te Ara's case, I would like to see a whole lot more outside web references to the other primary and secondary materiel that is available. One of the best of these is the Waitangi Tribunal site itself. Established in 1975 by the Treaty of Waitangi Act 1975. The Tribunal is a permanent commission of inquiry charged with making recommendations on claims brought by Maori relating to actions or omissions of the Crown that breach the promises made in the Treaty of Waitangi. The site has a full archive of the Tribunal Reports - both as web pages [html] and PDF's. See here for the detail. If this is the first time you have looked at them , just pick one - either read on screen, or print it - and then give it enough time to let the voices captured by the researchers and the claimants speak to you. When I did it for the first time, it was quite a personal experience. Might be for you too. And of course one of the best pieces of web video still around is the film of the fern building on Santa Monica Beach organised by Made In New Zealand. As they would once have said in Scotland, " we're awe Jock Tamson's bairns"
Made From New Zealand from Made From New Zealand on Vimeo. Would be great to hear of other peoples favourite Waitangi Day related sources? I've been having a bit of a look round the Auckland Museum web site. They seem to be embarking on an iterative set of changes to the site around some of their current activities. One of these was their Great White Shark dissection, or public necropsy, which they held in on the in partnership with the Department of Conservation. The actual procedure was carried out by Marine Scientist Clinton Duffy from the Department of Conservation’s Marine conservation Section, and Auckland Museum’s Marine Curator Dr. Tom Trnski On the day it was watched by close on 4000 people. They also reckon 30,000 people watched it live on the web on the Upstream TV live broadcast channel. The Museum web site has more detail, here . It includes a lovely bit of video of the event. 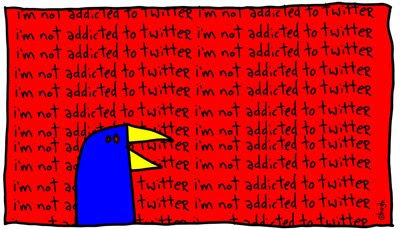 I am totally enjoying the way that Twitter is rapidly becoming a really useful professional networking tool. For example, this morning, I clicked the link on a tweet from the Creative Commons International people, who have a Twitter profile, here. If you check what they are up to you'll see that, like a bunch of other organisations, Twitter is really starting to work for them as a news broadcast - re-broadcast platform. Take the tweet this morning - an alert to a project which launched a few months ago. Nothing wrong with the legacy factor - in fact a first class example of how to re-leverage content through Twitter, and while you are at it hope that some of your ideas go viral back onto the blog sphere, or elsewhere. I also liked the topic of the tweet. The story concerns the UNU project United Nations University (UNU) Media Studio’s who last June decided to license their Media Studio and Online Learning sites under CC BY-NC-SA. A month later [July 2008] they launched “Our World 2.0“, a web zine exploring environmental issues around the “complex, inter-connected and pressing problems of, for example, climate change, oil depletion and food security" The idea being to bring people, design and technology together as a creative- collaboration space. Now they have video in the mix, courtesy of a new web based documentary series, in hi-def, which examines issues around climate change, energy, and food security. Louis Vuitton Pacific - Team New Zealand wants rights over TVNZ press coverage? Sunday evening here in Auckland. Weather hot and muggy, but nothing like the heat across the ditch in the Australian east coast. You have to feel sorry for those guys - melting train tracks, electricity cuts, bush fires. Some summer. Back in Auckland I spent some of the afternoon down at the Louis Vuitton Pacific Series village. This is the base for the "not the Americas Cup" yachting race that is running on the Waitemata. It is currently in its first round robin. Two more are planned over the next two weeks, leading to the big final shoot out for the finalists on 13th and 14th February. Current money is already picking a Team New Zealand [Dalton - Dean Barker et al] BMW Oracle [ Larry Ellison and Russell Coutts et al] final. This stuff is personal. You can't get more grudge into a match than that combination - the physics are against you. When not on the water the boats, teams and entourage, hang out in the Cup Village. This is the area around Halsey Street next to the Viaduct Harbour, the area at the foot of the downtown water-front which was revitalised in 1999 for the Cup challenge. Ten years later there are still lots of cafes, restaurants, boats, in the Viaduct Harbour area. And of course the nearby Princess Wharf is the favourite dock for this seasons round of big cruise ships. There are two in harbour right now. The look like they are parked at the foot of Queen Street. This afternoon both areas were crowded - lots of people checking out the lovely yachts down in this side of the world to share in the buzz of the racing. Lots of families, and for sure, a whole contingent of the young and beautiful hanging out around the big boats the way they do they world over. host, Team New Zealand will qualify automatically for the Cup Final. The creation of this event is in response to the ongoing legal battle surrounding the America's Cup yachting competition. Ten syndicates are participating. All ten teams will use boats loaned for the regatta from Team New Zealand and BMW Oracle Racing to make participation more affordable. If this afternoon is anything to go by, the whole event seems a huge success. However, one story currently breaking is a bit disturbing. Stuff , the online home to Fairfax who own the likes of the totally respectable Dominion newspaper et al, is reporting that Team New Zealand boss Grant Dalton has requested that veteran TVNZ yachting commentator Peter Montgomery not be given a part of on the TVNZ commenting team. Montgomery is the same guy who famously screamed encouragement and almost demented enthusiasm when Team NZ won the Cup over in Santiago . When they held the challenge in Auckland he was once again a fervent supporter of Team New Zealand. However, now, according to the Stuff report, Dalton of Team New Zealand considers him biased. I don't know how much notice NZ national television broadcaster, TVNZ is taking of all this - they are apparently refusing to comment at this time - but for me - this is all wrong. Montgomery, whatever you might think of his decibel level, is a journalist yachting legend in his own right. At least here in NZ. He deserves his spot over the mike. If there is a problem of balance, then sort it by offering other voices, or have a word. What isn't acceptable is the impression the story creates that Team New Zealand has these kinds of rights over the way TVNZ staffs its rosters. 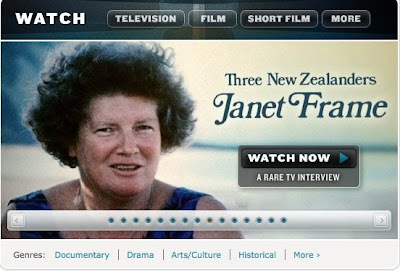 Somebody, on the TVNZ side, needs to pick up on the Stuff story - as of right now?